Revealed by Koei Tecmo earlier this year, Attack on Titan 2 is 2018’s follow-up to this year’s console-debut of the globally-popular anime and manga franchise. 2017’s Attack on Titan from Koei Tecmo and Omega Force isn’t the franchise’s first foray into video games; humanity’s desperate fight against man-eating giants has been captured in two Nintendo 3DS titles, a visual novel, and numerous fan-games of varying quality. Koei Tecmo’s installment however, was the first entry to include free-roaming sandbox environments utilized for more than just a Titan killing-zone; players progressed through the story by interacting with characters who may or may not be present based on the player’s own gameplay choices. Anyone not caught-up with Attack on Titan’s anime may want to postpone their venture into Attack on Titan 2, as the upcoming title will revolve around the content found in Season 2 and its manga counterparts, including major plot components for the “Armored Titan”, “Colossal Titan” and “Beast Titan”. The campaign will loosely follow the same events from the anime and manga, but not from the perspective of a previously-established character; Attack on Titan 2 will allow players to experience the story from the eyes of a player-made character. 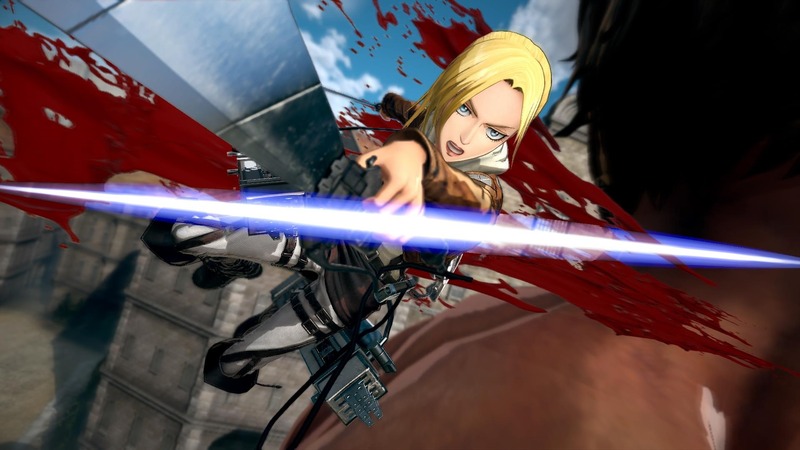 Apart from the custom-soldier of the 104th Training Corps, Attack on Titan 2 will allow players to embark on a Titan-slaying rampage with additional characters Annie Leonhart, Reiner Braun and Bertolt Hoover. The Japanese version will once again have an alternate “Treasure Box” Limited Edition, containing the base game, an art book, game soundtrack, eight character pins and two premium A4-size posters. Attack on Titan 2 will release for the PS4, PC, Nintendo Switch and PS Vita in Japan first on 3/15, followed by its North American and European debut for the PS4, Xbox One, PC and Nintendo Switch on 3/20.